Hand finished, malleable iron lever handle complete with all fixings. The Burford Suite design features a dimpled surface where the iron has been hammered and shaped edges, top and bottom. The lever has a distinct curl and is finished with a scroll tip. A distinctive addition to any property. 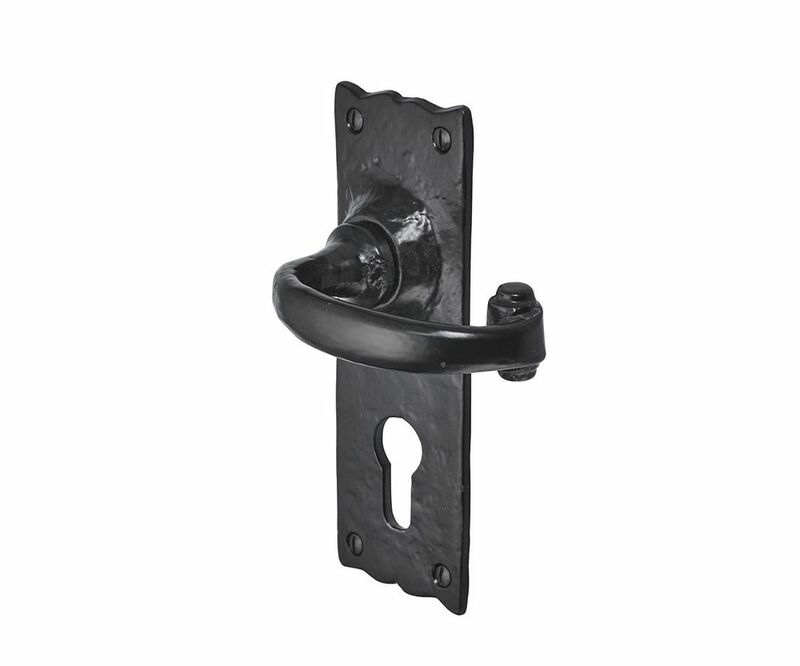 Available in 4 options: ~ Lever Latch: no lock, held shut via a latch ~ Standard Key Lock: keyhole located beneath the lever, use in conjunction with a sash lock to add security, the door can be locked with a key ~ Euro Lock: keyhole located beneath the lever, euro profile lock, secure the door with a key ~ Bathroom Lock: turn and release mechanism located beneath the lever, emergency override on the outside, used for privacy, not security Please note: Sold per set.